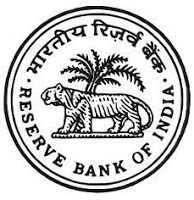 Reserve Bank of India (RBI) has published Advertisement for below mentioned Posts 2018. Other details like age limit, educational qualification, selection process, application fee and how to apply are given below. At least three years of work experience in corporate credit appraisal, corporate loan recovery, investment & treasury (including derivatives) in a Scheduled Commercial Bank/s or a Systemically Important NBFC. Data Analytics: 2 year full-time MBA (Finance)/ M.Stat from an Indian University recognized by Government bodies/ AICTE or a similar Foreign University /Institute, with at least 55% marks. At least three years of work experience as a data analyst in areas of credit/ market/ liquidity risk in a Scheduled Commercial Bank/s or a Systemically Important NBFC or in a rating agency established at least 10 years back. Risk Modelling: 2-year full-time MBA (Finance) / M.Stat from an Indian University recognized by Government bodies/ AICTE or a similar Foreign University /Institute, with at least 55% marks. Forensic Audit: CA/ ICWA with Certificate Course on Forensic Accounting and Fraud Detection conducted by ICAI. 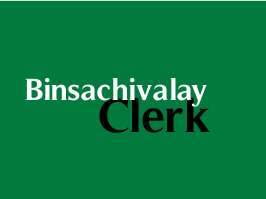 At least three years of specialized work experience in the area of forensic Audit and being a part of forensic audit team in Central / State Government Undertaking or Departments. Professional Copy Editing: Full-time Post Graduate Degree in English from an Indian University recognized by Government bodies or a Foreign University /Institute, with at least 55% marks AND Knowledge of Hindi is desirable. At least three years of work experience in professional copy editing in a well-known Publishing House, Magazine or Journal. Experience of rewriting user-generated content to professional standards. Excellent standard of written English. Excellent proof-reading skills. Human Resource Management: Graduate Diploma/ Master’s Degree in Human Resource Management / Personnel Management/Industrial Relations/Labour Welfare from a recognised Indian or Foreign University /Institute with at least 55% marks. Age Limit: A candidate must have attained the age of 24 years and must not be above the age of 34 years on the 1st of August, 2018 i.e., he/she must have been born not earlier than 1st August, 1984 and not later than 1st August, 1994.